**Preorder shipping estimates are not a guarantee. Preorders may be cancelled anytime before product ships for a full refund. Configure an EverDrive-N8 for the NES exactly how you want it with parts we have in stock. Ever dream of having your whole library of NES games in a single cartridge? 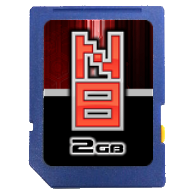 The EverDrive-N8 for NES allows you to load your game back-ups (commonly known as ROMs) on an SD card, put the SD card into the EverDrive-N8, put the EverDrive-N8 into an NES system and have your list of games at your finger tips. Please read the FLASH CART DISCLAIMER below before purchasing. 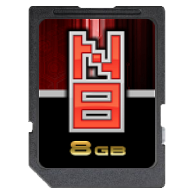 The Basic Edition comes with just the EverDrive-N8 for NES cartridge with a gray back label in the selected style or configuration covered by a 1-year Warranty. Whereas the Deluxe Edition includes the cartridge with a gold back label, a case, printed manual, a EverDrive-N8 sticker, EverDrive-N8 controller overlay, Stone Age Gamer sticker, and is covered by a 3-year Warranty. NES, Famicom, and Twin Famicom systems are supported. * Works with many NES/FC clones as well. Cart supports NES, Famicom, and FDS ROM images. Automatic disk side swap for FDS. Game Genie cheat code support. Mapper support can be extended via software updates. As easy as loading new mappers files on SD card. FAT / FAT16 / FAT32 file system formats are supported. Supports SD (SD & SDHC) cards up to 32GB. Quick loading of game files (approx. 4-8 seconds). 2 x 512Kbyte SRAM for PRG and CHR data. 128Kbyte battery backed memory. It write save data to SD. Max II CPLD to handle FPGA reconfiguration, BIOS and SD interfaces. Voltage shift buffers on PPU and CPU bus for matching levels between 5v NES bus and 3.3 EverDrive bus. Far better than simple resistor buffers at reducing noise and power consumption. *Famicom version of cart requires Famicom to NES adapter to be used with NES. NES version of cart requires NES to Famicom adapter to be used with Famicom. ** Only Famicom can output expansion sound without modification. NES systems require modification to support this feature. *** FDS is the only exception, user should push the reset button on system to get back to main menu before than shutting down the system, otherwise FDS save data will be lost. A) PIRACY – Stone Age Gamer Retroworks, Inc. ("Stone Age Gamer") does not support or condone piracy. 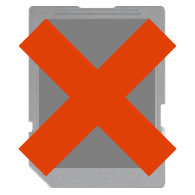 Flash carts are intended to be used only for the following reasons: development, playing games licensed by Stone Age Gamer for use with the product, and/or playing personally backed-up games (see section B). Stone Age Gamer does not offer support for any other use of this product including how or where to obtain game back-ups. B) PERSONAL BACK-UPS – Although in some territories it is legal to make back-ups for personal use it may not be legal in all territories. Please learn local laws before making back-ups for personal use. Please note, in most territories "Personal Back-up" means exactly that; back-ups you made yourself of games you own. This often does not include back-ups obtained via other methods (i.e. downloading), even if it is a game you physically own. C) DAMAGE – Neither Stone Age Gamer or the manufacturer is responsible for any damage of property this product may cause. This is a new product intended to be used on electronic hardware that exceeds two decades in age and Stone Age Gamer can’t guarantee the condition of such hardware. USE AT YOUR OWN RISK. D) MODIFICATION & USE – Any unauthorized modification and/or non-intended use of this or any other flash cart product sold by Stone Age Gamer shall void both manufacturer and retailer warranties of that product. E) CLONE / MODIFIED CONSOLES – Flash carts were developed and intended to be used on un-modified original hardware using original hardware accessories. Stone Age Gamer does not guarantee flash cart operation on clone consoles or modified consoles. Flash carts may operate on some clone consoles or modified consoles. However, due to power consumption changes, random hardware changes and/or firmware updates of those consoles we cannot offer a guarantee of flash cart compatibility. Any returns due to incompatibility with clone consoles or modified consoles will result in no refund of any shipping costs and a 10% restocking fee if no defect is found during testing. I purchased this from Stoneagegamer about a week ago; the order was processed smoothly and that the product was shipped promptly. My version was the basic one in black with the plain black label on the front, the gray label on the back, and Phillips screws in the case. I used my own flash card, so I had to download the OS from the Stoneagegamer website. There were various tutorials online, which I'll summarize here. After extracting the OS onto my flash drive, I created a folder called Roms in the root directory. I loaded all of my roms (about 1000) and promptly found that many weren't recognized. After some trial and error, I realized that the roms need to be placed into separate folders, because the OS can only recognize about 150-200 roms per folder. Once that was done, I was able to play almost of my beloved games on my Everdrive. There's a compatibility list that can be found with a quick google search, and a few of the notable games that won't work include Castlevania III, Tengen Tetris, Gauntlet I, Punch Out!, Mike Tyson's Punch Out!, and RBI Baseball 1-3. Still, just about everything else works, and everything plays just like it would on an original cartridge. I think it is especially nice that I can play homebrew games like Bladebuster and Tecmo Bowl 2016 on my original NES. I love my Everdrive! The Everdrive N8 is a great piece of hardware. I purchased my N8 a few months ago and had no issues...until it stopped working. I let krikzz know what was happening (via his website) and I sent it out for repair. I got it back shortly (2 weeks) after and everything is in working order. Krikzz makes a great product and the Deluxe Edition stone age sells is great! No issues as long as you're using clean ROMs. issues with some 'hacked' ROMs. Very nice cart for people who want to play NES games on actual NES hardware. I Honestly Don't Own One Of These, But I Really Want One! I Watched Reviews Of These And They Are Epic!